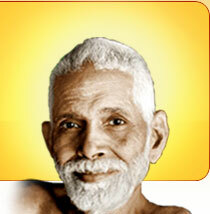 Any reference to Thiruvannamalai is sure to bring Sri Ramana Maharshi to our mind. The face that permeates peace in the mind of anyone who looks at. A great sage who lived among us in this century.. who followed a seemingly simple technique for Self realization- Pursue the answer to the simple Question Who Am I..?.. I said seemingly simple ... didn't I ? Only seemingly ...! I visited Ramanasramam also. I would have loved staying here overnight,But getting accommodation without advance reservation is impossible. For more details on Sri Ramanar and the Ramanasramam please visit their website here. Many know the details of how Paul Brunton, a seeker from UK, got spiritual guidence from this great Sage..! Those who do not know or those who know this and like a recap, click here for details. I first read about Ramana Maharshi in Bharanidharan's Arunachala Mahimai -Tamil book(அருணாச்சல மகிமை by பரணிதரன் ) and ever since then was wanting to visit this great place. The places where great souls lived have their own spiritual vibrations and value and hence I consider this as a great place even if it may not have anything of material interest...! 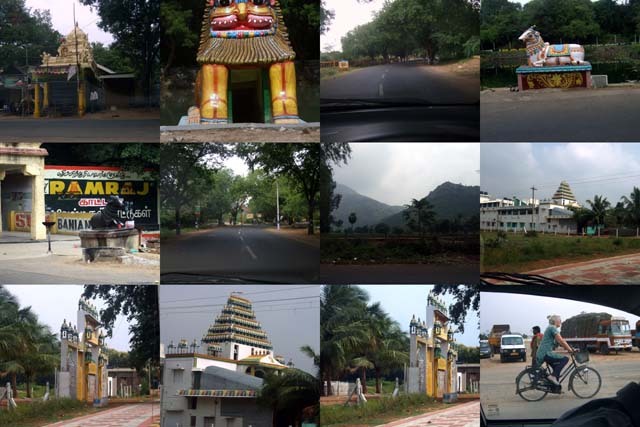 After Ramanasramam, I just drove around the Girivalam path and shot these few casual pictures from within the car. I will have to visit Thiruvannamalai and definitely cover Girivalam path in a greater detail sometime soon....! On our my way back to Chennai we visited Thennangur and that I will cover in the next part >>...! Nice info and cool pictures ..
Beauitful Sridharan, Now it comes with a little write up it becomes easy for readers to understand. I am giving a comment from an oridinary reader's point. I too loved the atmosphere in Ramanashramam. When I went it was evening prayer time. There were many people from abroad participating in chanting. Siddharth : There is only little to write about great souls like Ramanar as enormous amount of information is already present. I hope I would visit to stay in Ramanasramam some day so that I can see a day's program in detail. I wrote to the asramam president and who replied that I need to write to him a month in advance for reservation of accommodation. The website has the contact details.